All final-year students undertake a 6-week full-time research project after their final exams. Students have the opportunity to carry out a placement year in industry between the second and third year of their degrees. In some cases students take a placement year in an environment where they experience research and development first hand, others obtain roles in clinical trials management, marketing, technician and quality experience. Examples of recent placements include a molecular diagnostic laboratory (Micropathology Ltd), the Fertility Clinic at University Hospitals Coventry and Warwickshire, marketing placements at the Body Shop and Eli Lilly, Administrative Assistant and Health and Safety placements at Bosch and Drug Discovery at GSK. 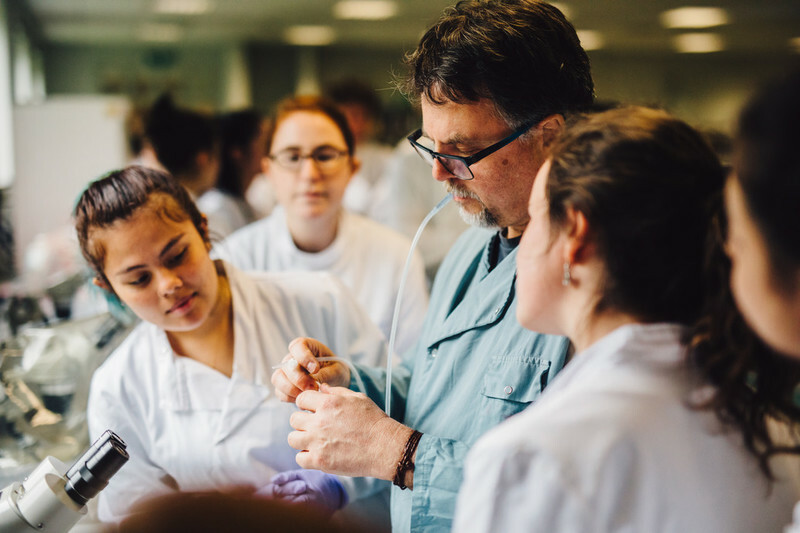 The MBio is an integrated masters course which builds onto three degree streams at Life Sciences: Biological Sciences, Biochemistry, and Biomedical Science. 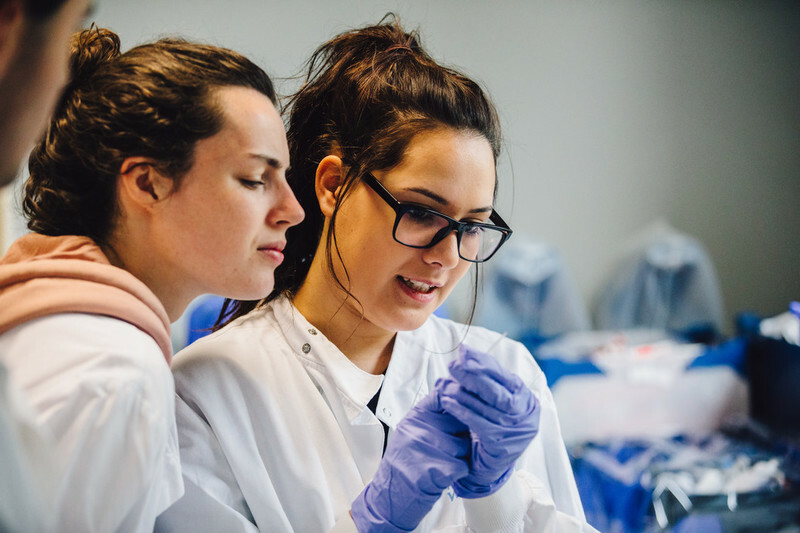 The fourth and final year of the MBio focuses on the development of research skills through an extended research project and a research skills module. Students can either do a 6-month research project in the department or a 12 month research project with an industrial partner. Projects are either laboratory-based, or based on analysis of existing data. Recent industrial placement providers include GSK, Medimmune, Oxford Biomedica, Allergan, Nanopore, Life Arc, Roche, Neuro-Bio, Biocarbon Engineering and Keygene. Students carrying out projects within the department are integrated within research teams. Specific projects are decided by mutual agreement between students and supervisors. Antiepileptic treatment: Investigating and comparing the effect of A1 receptor compounds within the Hippocampus. Students gain experience of a variety of lab-based techniques, and receive advanced training in analysis of various types of data via weekly workshops based on case studies. Students develop their critical analysis and presentation skills through journal clubs and other activities. Students have the opportunity to apply for and obtain research experience during the vacations. Many students obtain work experience where they work alongside PhD students, technicians and postdoctoral staff in our research laboratories or outside the University. Work experience and summer industry placements can improve your CV and help you explore career options. Work experience improves your workplace skills, builds up your contacts and occasionally leads to a full time job. Check out the Royal Society of Biology website for available summer studentship opportunities. Many of out students complete summer projects in labs in the School of Life Sciences through the Undergraduate Reseach Student Scheme (URSS). How does malaria selection influence primate alpha globin copy number? School of Life Sciences staff are committed to developing the student learning experience in partnership with students. We work with Warwick International Higher Education Academy (WIHEA) and the Institute of Advanced Teaching and Learning (IATL) to provide opportunities for students to work as student researchers alongside staff to explore areas such as the use of handheld devices for learning in the classroom, developing new tutorials and exploring inclusive learning and teaching. Opportunities to get involved are advertised to current students through Moodle. Masters dissertation projects allow the student to gain personal experience in research skills, hypothesis development, hypothesis testing, data collection, data handling, data evaluation and result presentation. Students on these courses have the choice of a lab-based research project, a dissertation based on work relevant to the MSc or a work placement. Lab-based projects are drawn from current research in the department and overseen by a supervisor. Placement projects are developed with the work line-manager and an internal supervisor and involve work relevant to the host organisation. Projects represent approximately 3 months enquiry and data collection and one month thesis write-up. Students apply knowledge and skills gained through the course to a specific area of study, writing an academic paper that shows evidence of skills of inquiry, reasoning and analysis in addressing the topic. Students can carry a lab-based project or a work-placement (if these are arranged by the student). The British Conference of Undergraduate Research promotes undergraduate research in all disciplines. The Conference meets annually every Spring in a different British university. Undergraduates of all levels are invited to submit papers, posters, workshops and performances to the Conference. Abstracts are peer-reviewed and those accepted will be invited to attend the conference. The call for papers is usually published in the autumn. An undergraduate research conference is just like any other academic conference. There will be spoken papers, lectures, poster presentations and workshops — but each one will be delivered by undergraduate students presenting work they have done either as part of their course, internship, or individual project. For two days, you will be able to talk to undergraduate researchers from your own disciplines, and you will also learn a lot about how other disciplines approach research problems. Please note: Conference fees are usually covered by student's own university. Check with your department before submitting to the Conference and/or registering to attend. Please note: Modules are available to all Masters/PGT students, but require home department approval. Please note: Modules are available to all undergraduate students in years 2, 3, or 4, but require home department approval. The blog is designed to connect students with information, support and their community. It contains posts offering tips and secrets on a wide range of study skills for example improving presentations, avoid plagiarism pitfalls, preventing library fines and much more. Posts are written both by Library staff and by students about their study experiences. The Postgrad Hub (PG Hub) is a dedicated space for postgrads, enabling them to access support, work in a collaborative environment and socialise with peers. Click on the link to check availability, latest updates, support, and exclusive postgraduate and research events.